Spa Del Mar is the perfect spa for bridal and bachelorette parties offering some great Santa Barbara Spa Bridal Packages. We offer a unique, special experience for your party: by booking eight or more services you can reserve our entire spa for your exclusive use. Also, if you are thinking about staying at the resort we can offer you a 10% discount off your room rate on weekend nights and a 12% discount on weekdays. Click here to take advantage of this discount and book your stay at the Hilton Santa Barbara Beachfront Resort. Imagine your own private spa experience for your bridal party. Enjoy a special time set aside for you and your bridal party, all the while basking in the sun and taking in the fresh ocean air on our private patio. Next, indulge in one of our amazing spa services. Whether you are having our signature Santa Barbara Mission Mystique, Cell Renewal Oxygen Facial or our amazing Lavender Bliss Treatment, we will make this part of your wedding experience an unforgettable one. Come indulge at Santa Barbara Spa del Mar and let us help you create everlasting memories. Looking to host a bridal or bachelorette celebration? Here is an informative guide for your bridal or bachelorette party. If you can visualize lounging with your friends on our private patio, while enjoying a glass of Champagne and delicious appetizers, Santa Barbara Spa del Mar is what you are looking for. Your bridal or bachelorette party guests can choose from our special 45 minute express services menu below. This way, you have time for your friends, and getting pampered too. Our 45 minute express services are only offered for parties booking 8 or more services. They are $95.00 plus an 18% gratuity ($17.00) which totals $112.00. No other discounts apply. You begin this treatment with a relaxing back cleanse and exfoliation; next a soothing mud mask revives fatigued back muscles while your hands and feet are massaged. This treatment is completed with a therapeutic neck, back and shoulder massage. 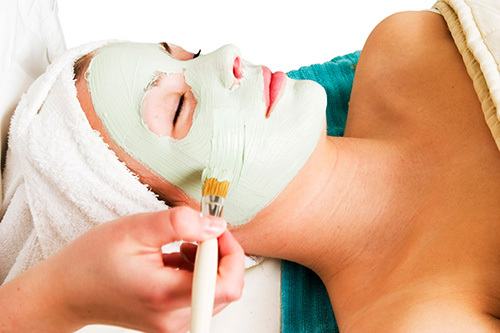 A Mini Facial Tune-up is the perfect facial if you have dry, neglected skin that needs a boost. Following a thorough cleanse and exfoliation, enjoy a face and decollete massage; next a nourishing mask that replenishes your skin while you enjoy a hand massage. (This service does not include extraction). Our Head to Toe Pampering includes a combination of services and products that promotes complete relaxation and well being. 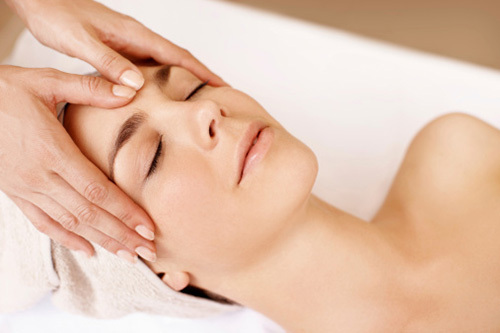 You will feel your stress melt away with our scalp treatment, neck and shoulder massage. Next your hands and feet will be thoroughly exfoliated; this treatment is completed with hand and feet reflexology and therapeutic massage. This is a full body “tune-up” massage using pure jojoba oil that will be customized to your specific needs to reduce stress and induce relaxation.